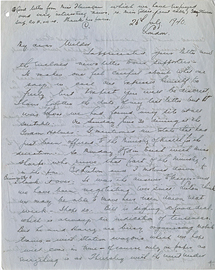 Letter from C.E. Cross to Wilder Penfield, September 16, 1940. 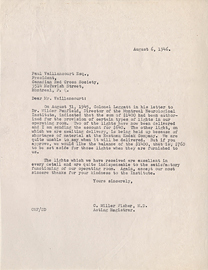 Letter from Charles Miller Fisher to Paul Vaillancourt, August 6, 1946. 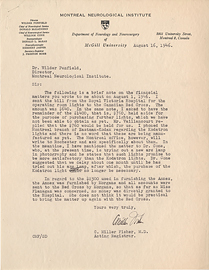 Letter from Charles Miller Fisher to Wilder Penfield, August 16, 1946. 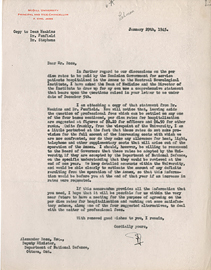 Letter from Colin Russel to Wilder Penfield, April 27, 1941. 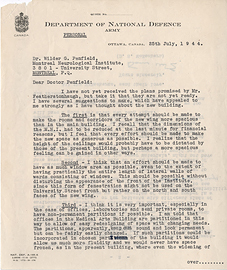 Letter from Colin Russel to Wilder Penfield, July 26, 1940. 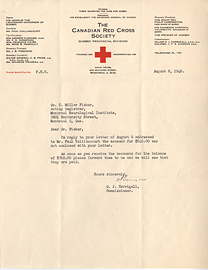 Letter from David James Corrigall to Charles Miller Fisher, August 8, 1946. 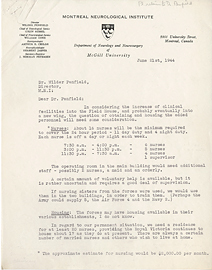 Letter from Donald McEachern to Wilder Penfield, July 25, 1944. 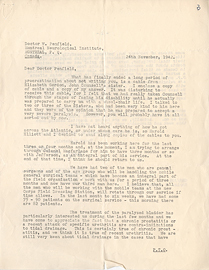 Letter from Douglas Abbott to Wilder Penfield, November 12, 1946. 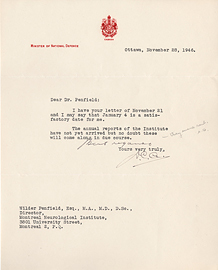 Letter from Douglas Abbott to Wilder Penfield, November 28, 1946. 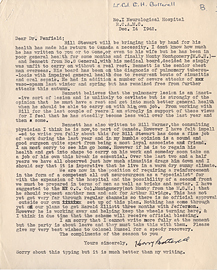 Letter from E. Harry Botterell to Wilder Penfield, December 14, 1942. 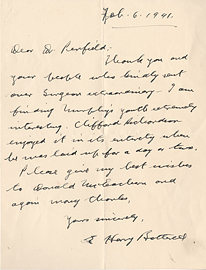 Letter from E. Harry Botterell to Wilder Penfield, February 6, 1941. 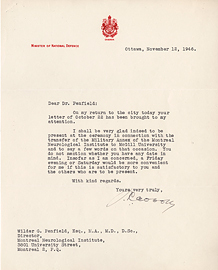 Letter from E. Harry Botterell to Wilder Penfield, November 24, 1942. 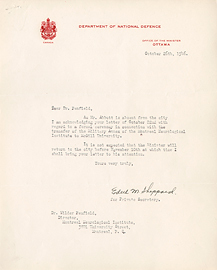 Letter from Edith M. Sheppard to Wilder Penfield, October 26, 1946. 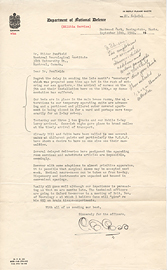 Letter from Eileen C. Flanagan to Wilder Penfield, July 21, 1944. 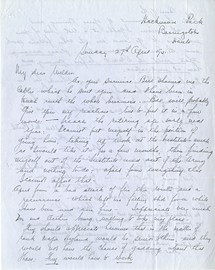 Letter from F. Cyril James to Alexander Ross, January 29, 1945.